How to Store and Dispose of Medical Waste and Sharps! Medication waste is synonymous with drug waste, pharmaceutical waste, unused or expired medication, unused or expired drugs, prescription and over-the-counter human drugs, veterinary drugs, diagnostic agents, and nutritional supplements. Sharps include lancets, hypodermic needles, syringes, scalpel blades and broken glass articles (other than household items). According to state law, an approved sharps container is rigid, leak-proof, puncture resistant, sealed and clearly marked with the bio-hazard symbol. Never place medical waste and sharps in the trash or recycling container. Some Goodwill Stores distribute sharps containers for free. Click here for a listing. Medical sharps are a hazardous waste that cannot be disposed with regular trash. Below are a list of ways to properly dispose of medical waste and sharps. 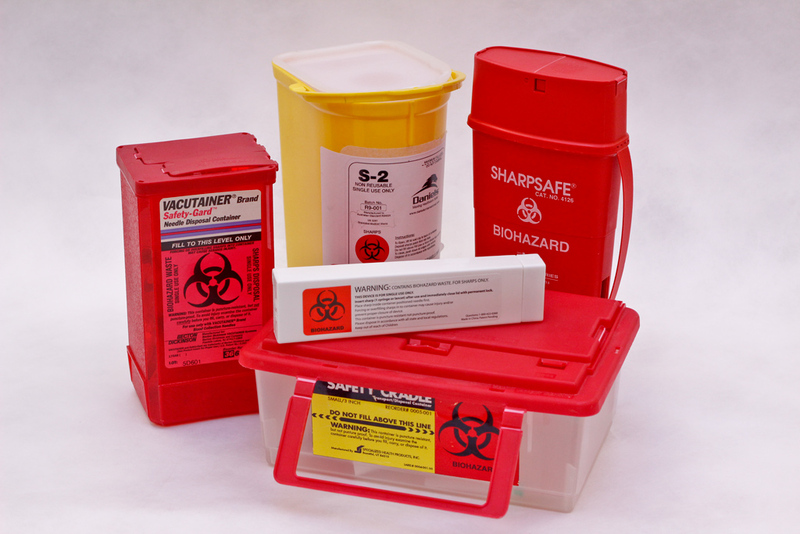 Filled sharps containers can be taken to appropriate collection sites, which may include doctors’ offices, hospitals, health clinics, pharmacies, health departments, community organizations, police and fire stations, and medical waste facilities. L.A. County Sheriff’s Department has drop-off locations for medical sharps. Click here for a listing of locations or visit their website. Self-injectors can take their used sharps to household hazardous waste collection sites, and place them in the sharps collection bins. 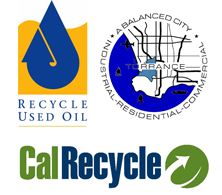 For a hazardous waste drop off event or permanent hazardous waste facility, visit CleanLA.com for a list of upcoming HHW collection events and permanent facilities. Used sharps can be mailed (in accordance with U.S. Postal Service requirements), to a collection site for proper disposal. Mail-back programs are available for individual use by sharps users, and can also serve as a disposal method for community collection sites, but there may be a charge, so please contact them. For more information, please contact the City of Torrance Public Works Department at 310-781-6900 or click here to go to the website.